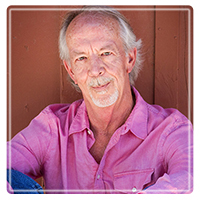 Westlake Village Therapist: Darryl Christian - Therapist 91362. Darryl Christian, M.A., L.M.F.T., A.T.R.-B.C. Send A Message To Darryl. For over twenty years I have worked with clients in a way that fosters respect, acceptance, and genuineness. I will work with you to help you build trust, confidence, and personal satisfaction with yourself so that you may have trust and confidence in your relationships. In my experience as a Marriage and Family Therapist, a clinical supervisor and trainer, and as an educator at Phillips Graduate Institute, Chatsworth (for 15 years), I have learned that my clients and students frequently overlook their own knowledge and expertise about what they have learned through their own experience. Though I can offer guidance, support, and clinical knowledge in exploring your concerns and challenges, my main focus will be to help you reflect on your strengths and abilities to meet life’s difficulties in order to have the fulfilling life you are hoping for. Change and personal growth can be painful. In our relationships, it may mean worry and confusion wondering what happened to relationships you once enjoyed. In some cases, this can develop into serious problems like depression, chronic anxiety, anger, and distancing from significant others – or even feeling confused and out-of-touch with ourselves. This affects not only our relationships but also our ability to perform at work or school, our ability to enjoy other interests, and can even cause medical problems. In particular, I have worked with adolescents with learning disorders like Autism Spectrum Disorder, AD/HD and ADD, and life challenges like LGBTQ coming-out concerns, and transitioning from adolescence to adulthood (a process that we now know lasts into the late 20s). I have also worked with couples and families, and individual adults struggling with anxiety, stress, substance/alcohol use, depression and mood disorders, career challenges, chronic psychological and medical issues, and clients surviving trauma. Feeling ‘stuck’ in our lives can make us lose sight of our hopes, aspirations, and dreams. Seeking help can be embarrassing – we become afraid of others’ reactions or unable to discuss difficult emotions. Yet, we depend on the support of our relationships to grow so that we can meet the challenges of life. Recent research in the past few decades has shown the importance of relationships – trusting, secure, safe relationships are required fordevelopment and growth. Trusting relationships help us see our own genuine strengths and potential for growth. I offer a safe and secure relationship that can help you find the options and answers needed in order to find more satisfaction and feelings of well-being in your life.